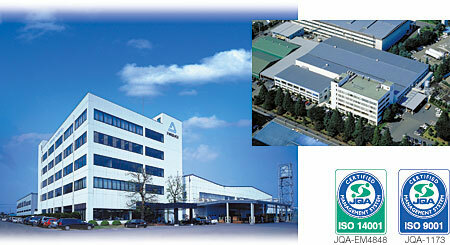 IWAKI Co. Ltd is headquartered in Tokyo and was founded in 1957 by the Japanese engineer Yoshiaki Fujinaka. During the 1960’s Y. Fujinaka developed a non-metallic industrial pump and replaced the ever-leaking shaft seals with two magnets. Thus disappeared a wide range of problems that traditional pumps suffer from, namely that they eventually leak and wear out. From the very beginning, the concept was to supply pumps for aggressive liquids, and IWAKI was the first manufacturer in the world to produce the magnetic drive centrifugal pumps in synthetic materials. IWAKI’s products are produced from industrial plastics, and based on the idea of magnetic power transfer – without shaft seals – making IWAKI’s pumps completely dense and extremely reliable. IWAKI employs more than 800 people worldwide and the product portfolio consists of more than 600 different types of pumps – all without shaft seals – especially for aggressive fluids and dosage. IWAKI has produced magnetically driven pumps for more than 40 years and is represented in more than 30 countries worldwide. All of IWAKI’s products are developed and produced in Japan – at the Saitama and Miharu plant. 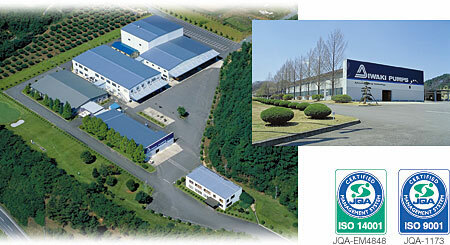 Saitama plant was established in 1974 and has been expanded several times. The Miharu plant was established in 1977 for mass production of smaller pumps. In 1992 the plant was thoroughly modernized. IWAKI’s pumps are manufactured under the strict quality requirements. Both factories in Japan are certified according to ISO 9001, which includes professional and quality standards in the production. Furthermore, both factories are environmentally certified according to the international standard ISO 14001. Danish industry has used IWAKI’s pumps since 1974 when A. Feddersen A/S acquired the sole agency for IWAKI in Denmark. The co-operation between A. Feddersen Pumper A/S and IWAKI led to, in 1992, the establishment of the joint venture company IWAKI Pumper A/S. IWAKI’s main office and warehouse is headquatered in Hillerød, Denmark. The office in Hillerød coordinates the co-operation between the Scandinavian and the Baltic regions.